Sounding sharper and more focused (dare one even say “concise”!) Pelican offer up their fourth long player, What We All Come To Need, their second for venerable heavy label Southern Lord. While its predecessor, City Of Echoes, featured shorter songs, the song structures seem closer to Pelican’s near classic The Fire In Our Throats Will Beckon The Thaw. No cut on What We All Come To Need clocks over 8 minutes, and yet, this set still retains the epic feel of The Fire. 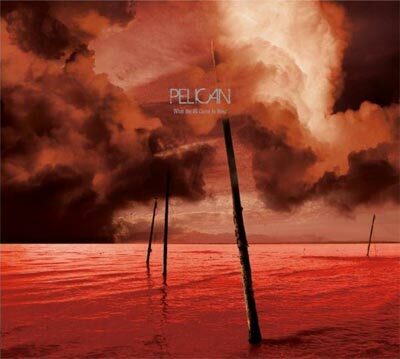 Pelican are certainly one of the best-regarded bands creating mostly instrumental metal. The difficulty in this type of endeavor is to create music that keeps the listener’s attention without the obvious touchstones of words or the human voice. The tools available are pretty spare, decided largely on the level of distortion on any given guitar passage. And yet, Pelican keep you engaged. This can almost entirely be ascribed to their excellent sense of dynamics. Most of these tunes use a standard form introducing a couple of riffs or themes, variations on said themes, and then a switch-up the dynamics. Opener “Glimmer” uses this formula to produce interesting results, switching into some quiet arpeggios after 4 minutes of intense riffing. The record warms ups a bit more as it progresses. “Specks Of Light”‘s early fast-shifting guitars contrast beautifully with an alternating fist-pumping set of power chords. This then sets up some nice guitar leads and a series of varying takes on the themes already introduced, until Pelican bring down the tempo with some bass and clean guitar interplay. The thrash metal-esque ‘chorus’ on “Ephemeral” may be the standout riff, particularly with the way it floats atop the laid back groove from the opening parts. The one startling break comes at the end, with “Final Breath” – the first, if I’m not mistaken, Pelican song to feature vocals. Still, this does not come across as a departure somehow; the vocals add just another layer to the whole. It feels natural, even logical, in the slow, gloominess of the track, conjuring up some of Jesu’s shoegaze-gone-metal sound. What We All is probably Pelican’s most accessible record, and at this point, perhaps the best initiation to their catalog. The focus is sharp and incisive; these gentlemen are quite capable of making 50 minutes of chugging guitars attention-getting. If you already dig Pelican’s vibe, this will likely come across as their most even-keeled effort. They move forward in one or two spots, but deliver on the core of their sound with uncompromising skill.